Cassini has Mimas (397 kilometers, or 247 miles across, at bottom) and Pandora (84 kilometers, or 52 miles across, at center left) on its side as it gazes across the ringplane at distant Tethys (1,071 kilometers, or 665 miles across, at top). 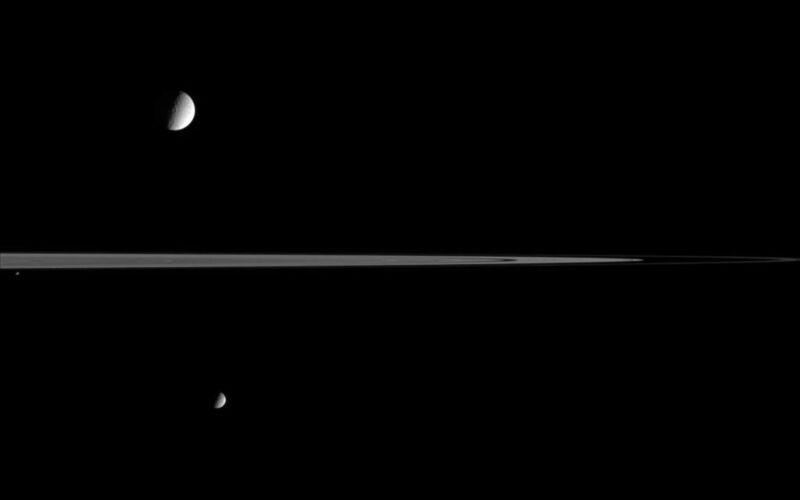 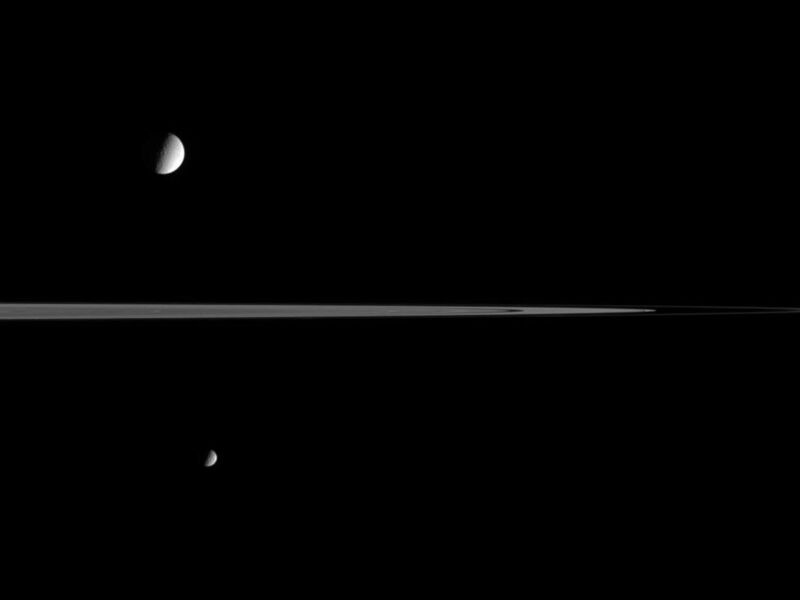 The two smaller moons were on the side of the rings closer to Cassini when this image was taken. 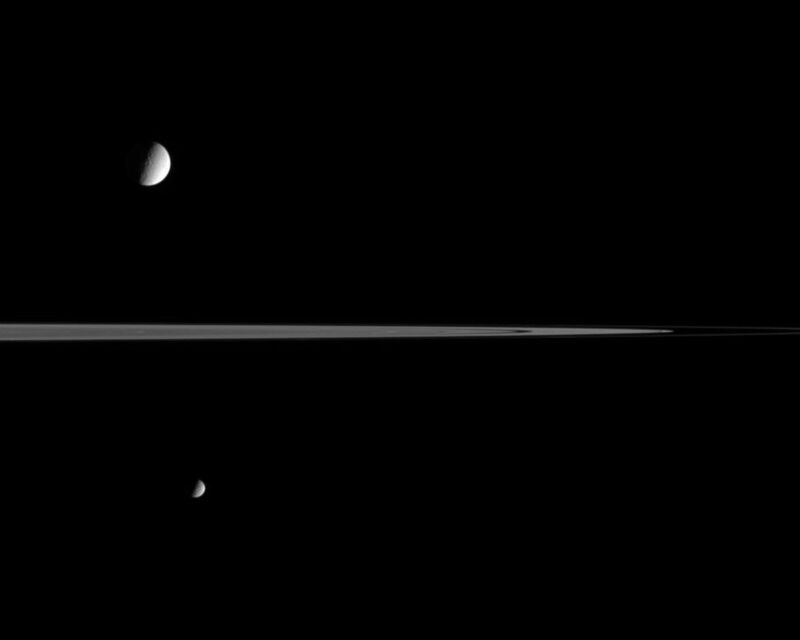 Little structure is visible on the moons, aside from a stippling of craters.